Servicing what we sell has been a core component of Teledair Communications & Security business since we started all the way back in 1987. When someone becomes a customer, we want to build a lasting relationship with them. Because we understand that both individuals who want to protect their homes and businesses that need to secure their locations have changing needs, we offer a wide range of solutions. Whether your needs are simple or complex, a burglary system is the best way to prevent unwanted entry into your Binghamton residence or business. If you have a system and someone attempts to break-in, the fact that they will be greeted with a blaring alarm can cause them to flee. For the areas of your Binghamton property where you have concerns about unwanted trespassers, motion detectors can put your mind at ease. 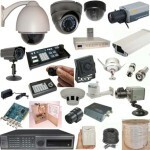 Monitored security systems are another option you may want to consider. They provide even greater control over your property’s security. Monitored systems can be an option for both residences and businesses. If you’ve ever visited Tedeski’s Pizza & Pasta in Binghamton, you may be interested to learn that they utilize a burglary system that we helped them select and install. Another way to protect your home or business is with the help of an advanced camera system. In the past, the output of camera systems were often limited to a small screen with low resolution. But thanks to advances in both video and networking technology, it’s now possible to remotely view a camera’s feed. Additionally, because everything is stored on hard drives instead of tapes, you can be confident that any footage you may need to review in the future will be available. The combination of features offered by a camera system makes it an especially appealing proposition for businesses. Tedeski’s uses one of our camera systems to help keep their property, employees and customers safe. While burglary and camera systems can keep unwanted people out, you don’t want to ban everyone from your place of business. But even for individuals like employees, you may want control over when they can enter and the specific areas they can access. 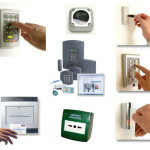 With an access control system, you’ll be able to accomplish that goal for your Binghamton business without being concerned about inconveniencing anyone. Although the Internet has had a major impact on the way that consumers and businesses interact with each other, a significant amount of modern business is still driven by phones. Since phones can be more convenient for both consumers and employees, growing businesses need phone systems that are reliable and easy to expand. Because we have so much experience helping Binghamton businesses set up the right type of phone system, we’ll be able to provide you with exactly what’s going to work best for your business. That’s why a business like Nirchi’s with several locations in the Binghamton area utilizes our phone systems throughout their multiple locations in the Binghamton area. If you have any additional questions about how we can help with your residential or commercial security needs in Binghamton, just give Teledair Communications & Security a call at (800) 888-7493.